I have thought deeply about all that goes on here under the sun, where people have the power to hurt each other. I have seen wicked people buried with honor. Yet they were the very ones who frequented the Temple and are now praised in the same city where they committed their crimes! It would appear that the celebrity gospelly boys club is getting feisty. 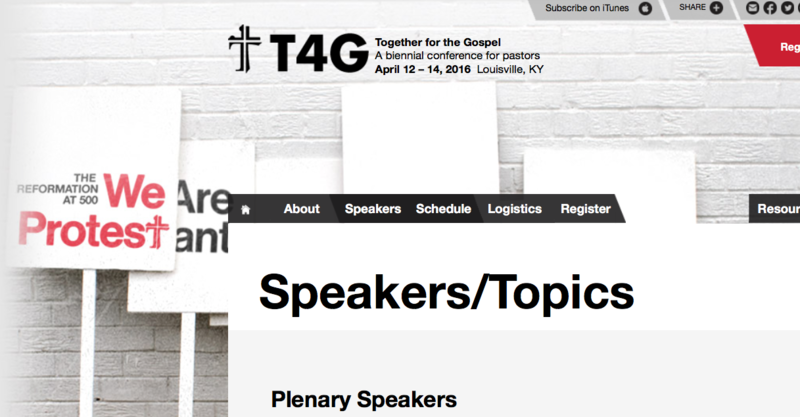 The upcoming “Together For the Gospel” (T4G) conference is going to be all about protesting. Not a bad idea. This conference is advertised as “A biennial conference for pastors.” I wonder what they will be protesting? Perhaps the fact that the “pew-sitters” are waking up? We have grown tired of celebrities like Mark Driscoll, Douglas Wilson and Matt Chandler running rough-shod over good people. Perhaps these leaders are protesting the fact that people are leaving their churches in record numbers. Perhaps these leaders are protesting the fact that people are no longer willing to submit to narcissistic authority freaks, sign their church contracts, or mindlessly donate money to support pastors who have no time for visitation but plenty of time to attend pep-fests such as this T4G conference. I am all for protests, but I believe our protests should be over legitimate concerns. As William Faulkner stated above, we should be protesting injustice and lying and greed. Just thinking out loud here… would charging people $250-$330 to attend your conference qualify as greed? Would prominently featuring bookstore hours at your conference qualify as greed? I am also curious to know how much money each celebrity speaker is paid. It’s doubtful I could ever get an honest answer on that. As for injustice – I submit that having C.J. 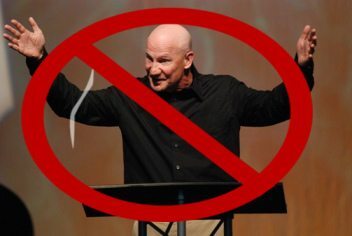 Mahaney as a plenary speaker at any Christian function is a travesty and a great injustice. 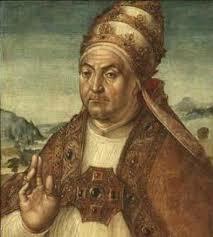 This man has blackmailed a former fellow leader of his denomination. He has covered up and enabled the sexual abuse of children in his church. The celebrity leaders sharing the conference platform with him can no longer claim innocence. They know what has happened. Nate Morales, a former youth worker in Mahaney’s church was sentenced to 40 years in prison for sexually abusing young boys. Their refusing to take a strong stand against Mahaney, and instead doing everything they can to promote Mahaney and restore him to his former celebrity status makes them complicit with him in his crimes. Mark Dever, Al Mohler, Ligon Duncan, Thabiti Anyabwile, John Piper, John MacArthur, David Platt, Matt Chandler, Kevin DeYoung and R.C. Sproul, shame on you for supporting C.J. Mahaney. These are the celebrity leaders of the Neo-Calvinist wing of American Evangelicalism. What does their support of a man like C.J. Mahaney say about the state of Christianity in the USA? Anyone paying to attend this conference should also be ashamed of themselves. Take your $250 entry fee, your $1,000 meal and lodging expense, your $300 book fee, and your $500 transportation fee and donate it to an organization that helps children who have been sexually abused. Do you know what further enrages me? These corrupt leaders from T4G are allowing Sovereign Grace Chuches, the denomination formerly headed by C.J. 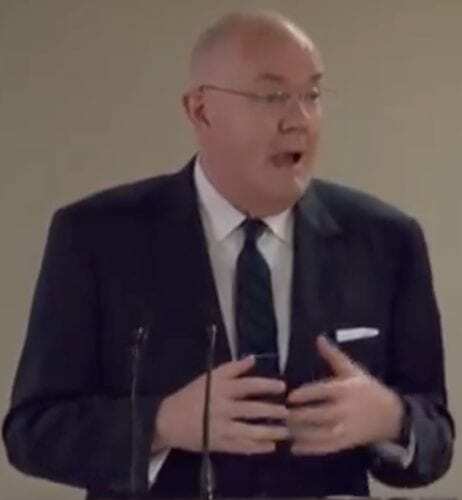 Mahaney, the denomination that is home to the worst sexual abuse scandal in Evangelical Christianity, to openly attempt to recruit churches to join their corrupt denomination. What in God’s name is wrong with these people? Read this article. It will break your heart. Please remember that this was not a one-time event. 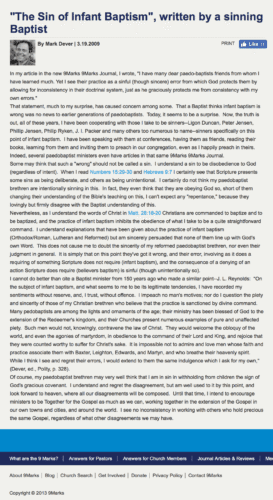 Numerous people have had the same experience at the hands of Sovereign Grace leaders. Go to Brent Detwiler’s blog and read the legal complaints filed on behalf of the victims who were sexually abused. It is a gut-wrenching read, but you need to understand the utterly abhorrent behavior of some leaders in the Sovereign Grace denomination. After you have read the documents ask yourself how any ethical, God-fearing pastor, pastors such as the men I listed above, can, with a clear conscience, support C.J. Mahaney or Sovereign Grace Churches. I am telling you people, it cannot be done! Read this story about Sovereign Grace leadership setting up a hush fund to keep a pastor quiet about sexual abuse. Read this story about a Sovereign Grace leader busted for soliciting a prostitute. There are many other stories I could share. And T4G leaders have no problem allowing these wolves to openly recruit at their conference? People, you can’t do much, but you can do something. Write the newspapers, write your congressman, carry a sign of protest outside the conference, pass out flyers outside the conference with links exposing who C.J. Mahaney is and what the Sovereign Grace denomination stands for. Link to this article on social media. Urge your pastor to not attend this conference. Inform other church members of this travesty and ask them to discourage your pastor from attending the conference. If your pastor insists on supporting these men by attending the T4G conference you should find a new pastor. Throw the bums out. C.J. Mahaney- What Did He Know? It’ll also cost you $75 for a buffet 4-meal package. In theory, you could go to a private restaurant and eat more cheaply, but why patronize local businesses when you can put more money in the pockets of the New Luthers and Calvins? These little boys have an insatiable need for attention. Amen. These aren’t men; they’re little boys who are doing some very bad things. All these conferences reveal an unhealthy need for adulation. The only Christian leader everyone on the planet is familiar with, in 2015, is Pope Francis, who lives in 2-rooms of a Vatican hostel and has spent his entire life advocating for the poor, as opposed to selling $250 concert tickets. P.S. I’ve always thought it was arrogant of Al Mohler and his gang to compare themselves to the original Protestant Reformers. Calvin and Luther, no matter what you think of them, changed the direction of Western civilization and they were strong-minded people who stood by their convictions. 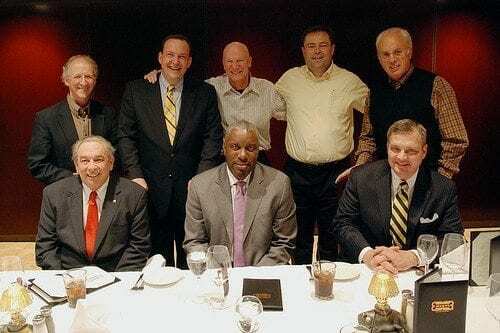 By contrast, I think these TG4 guys will be remembered as a bunch of chicken-turds who did much to bring about what will be the Evangelical equivalent of the Catholic’s Church’s disgrace regarding the Great Commission and cover-up of child sexual abuse. Mohler, Inc. acts of out of expediency, not integrity. Thanks again for standing up for what’s right, Todd! What a great article/stand against injustice, Todd. I am honored to have you as my friend. 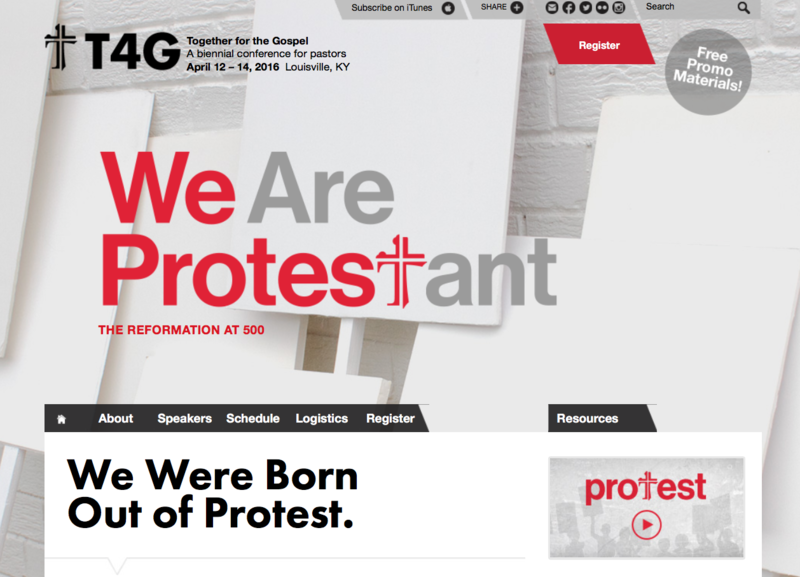 Hey Buddy!, I found this information for you: "Protest T4G". Here is the website link: https://thouarttheman.org/2015/12/30/t4g-supports-sexual-abuse-of-children/. Thank you.